(NaturalNews) The key to a better memory, less brain fog and improved overall cognitive performance could be as simple as munching on a few tree nuts every day. Researchers from the David Geffen School of Medicine at the University of California, Los Angeles, (UCLA) found that consuming less than a handful of walnuts daily, or about 13 grams, helped people of virtually all ages perform better on a series of six cognitive tests that looked at brain function. The cross-sectional study, which drew from a large sampling of the U.S. population aged 20 years to 90 years, looked at a variety of cognitive factors including simple reaction time, symbol digit substitution, single digit learning, story recall and digit symbol substitution. Each of these performance evaluations was designed to collectively capture the participants' cognitive capacities. Upon evaluation, it was determined that those who consumed just a few walnuts daily scored better on almost every metric. This was true in every age category, and the benefits were not confined to just one gender or ethnic category. Published in the Journal of Nutrition, Health & Aging, the findings are among the first to show walnut benefits in humans as opposed to just animals. 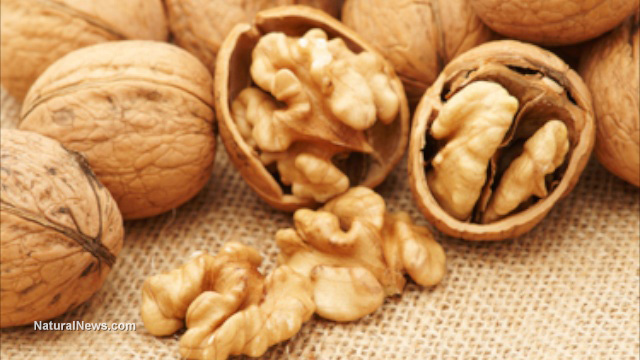 "It isn't every day that research results in such simple advice -- eating a handful of walnuts daily as a snack, or as part of a meal, can help improve your cognitive health," stated lead author Dr. Lenore Arab in a press release.